Summary: A look at the top speed traps in the area. 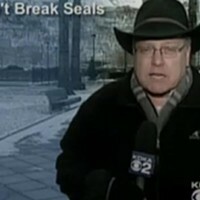 Reporter: Rick Earle, WPXI Channel 11 Airtime: 2 minutes, 41 seconds on July 1 Highlights: * When Earle announces, "Speed traps are on roads where there have been serious accidents, even fatalities. It's clear that police are aggressively targeting many of these areas where lives have been lost." * When Jeff Umbel, whose 20-year-old grandson was killed by a speeding driver, reflects, "You read something in the newspaper, you watch something on TV, and obviously it impacts you. But you never think it's gonna happen to you. But it does." * Earle expands, "Eight years after that tragic accident, police, with the help of state and federal funding, continue to aggressively target speeders on this stretch of road. 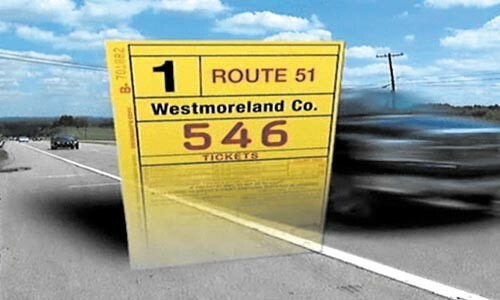 Last year, it was the top speed trap in Westmoreland County. Police handed out 546 tickets here. Target 11 broke down the top speed traps county by county, and we discovered that many of them, like Route 22 here in Westmoreland County, are targeted because of a high number of accidents." * When Earle asks a Rostraver police lieutenant if he thinks speed traps have saved lives, and the lieutenant responds, "Absolutely. ... [N]ot only do we see the accidents being reduced in number, but the severity" as well. * When Earle informs us, "On Route 51 in Rostraver, where [Umbel's grandson] was killed, the speed limit was lowered. And there's now a flashing light warning drivers. ... [P]rior to the crackdown between 1997 and 2004, there were 10 fatalities on this roadway. Since then, there have been none." * When Earle ends by directing us to the WPXI website for more on speed-trap locations. What We Learned: Arriving late is better than never arriving at all. Unanswered Question: Just to balance things out, how about some revenue numbers for these speed-trap municipalities? News Value: 4. You have to ask: What is Earle appealing to, really, when he tells you where the top speed traps are, and directs you to a website for more information? Given the pre-Fourth of July timing of the story -- this "lofty" story deserves a lofty eyebrow. Still, data from the National Highway Traffic Safety Administration shows that U.S. traffic fatalities have steadily declined since peaking in 2005, due to a combination of factors, speed traps among them.